Hang on to your hats! 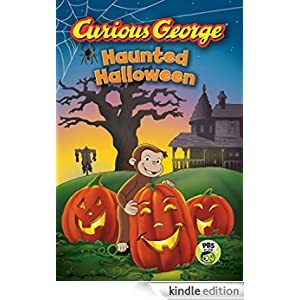 George gets spooked when he spends his first Halloween in the country and hears the legend of No Noggin—a headless scarecrow that kicks people’s hats off on Halloween! The man with the yellow hat tells George it’s just a legend, but with the help of his friends Allie and Bill, George is determined to get to the bottom of this mystery and find out once and for all if No Noggin really exists. This early reader features a festive bonus activity for even more Halloween fun with George! Suitable for ages 4-7, this Kindle Fire book is selling for $1.99 today.